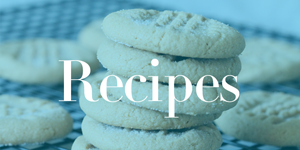 Home / Savings Blog Posts / Holidays / 4th of July Recipes / White Chocolate Chex Mix Recipe! If you love Sweet and Salty Treats check out this White Chocolate Chex Mix Recipe. it’s a fun snack for your Summertime Parties. Also, don’t miss the Patriotic Punch Recipe that I posted yesterday! I have a few more Fun Memorial Day and 4th of July Treats to share with you this week just in time for Family Parties this weekend!